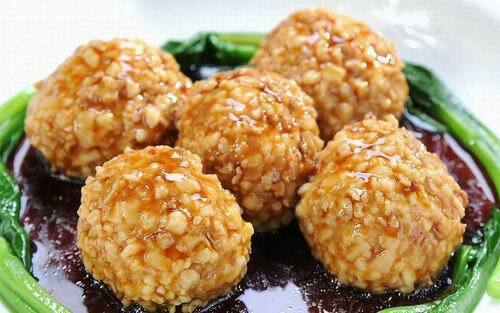 Have you eaten Crispy Pork Balls? Can you make the cuisine? Today, i am to show you the recipe. Boil quail’s eggs for 10 minutes until hard boiled. Remove shell. Divide the mince mixture into 12 equal portions. Flatten each portion into a flat patty. Wrap a quail’s egg in each pork patty and fold over to form a pork ball. Coat the pork balls in the cracker crumbs. Place balls in a pre heated oven at 200C for 20 minutes. Turn halfway through cooking. Serve on bed of lettuce.